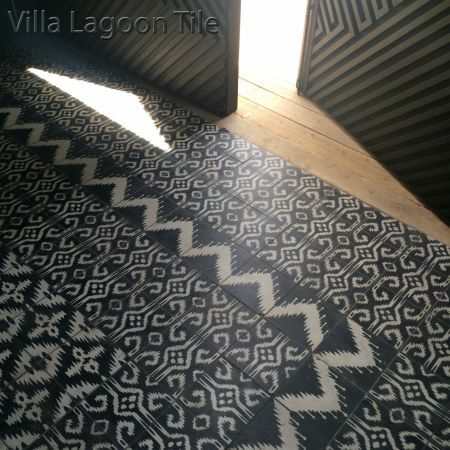 These are 2-color 8" cement tiles, using Black and White from the South Beach Palette. 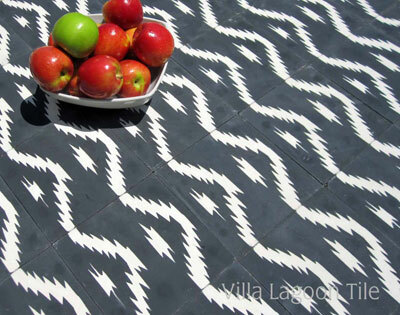 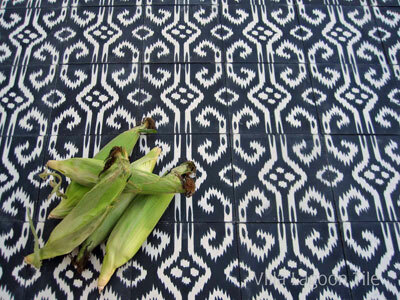 These original Lundy Wilder designs bring the look of historic ikat fabric styles to cement tile. 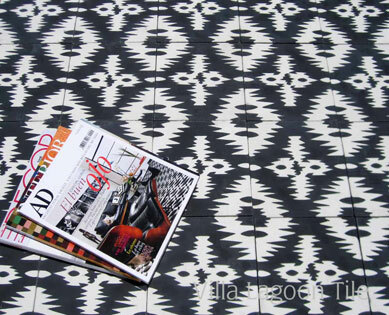 We try to keep the striking combination of Black and White in stock but you can also order in your choice of colors. 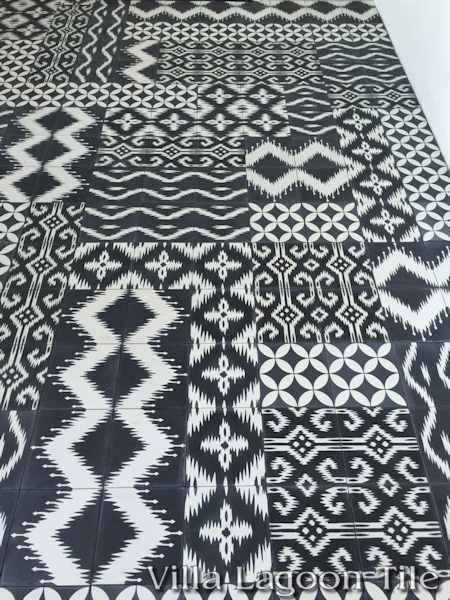 Our 8" handcrafted cement tiles can be used as one pattern wall-to-wall for floors or walls, or they may be combined to make an Ikat tile rug with assorted Ikat pattern tiles. 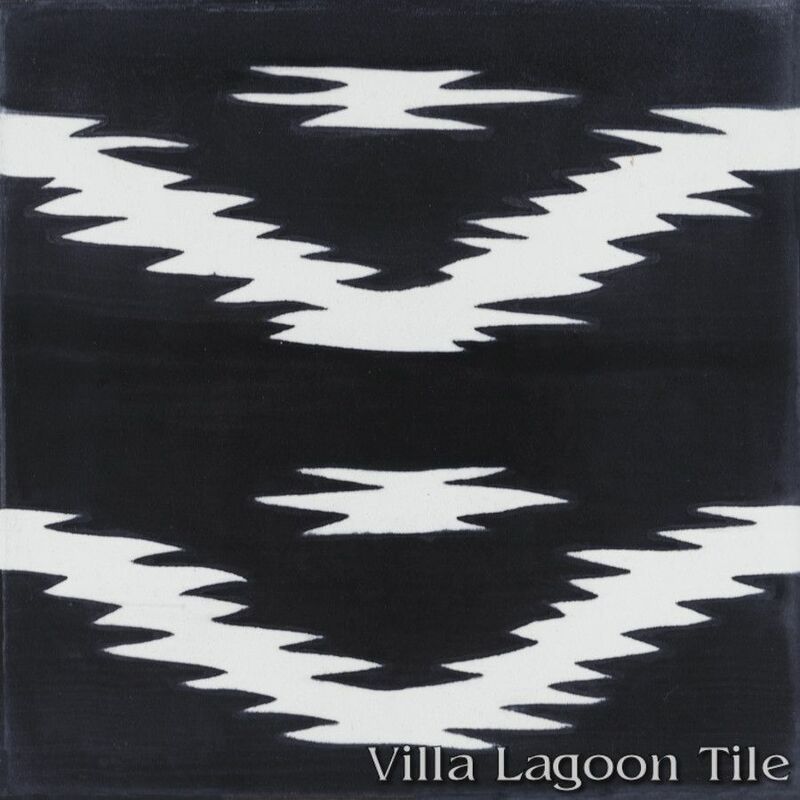 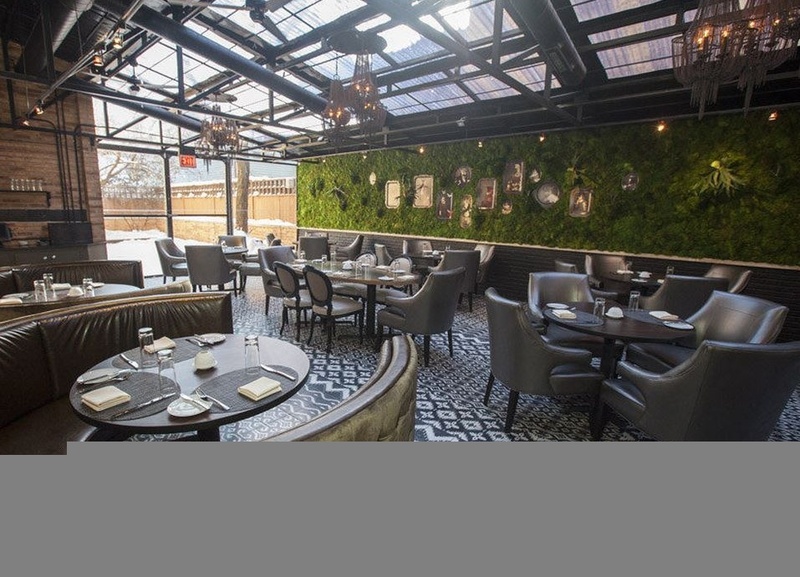 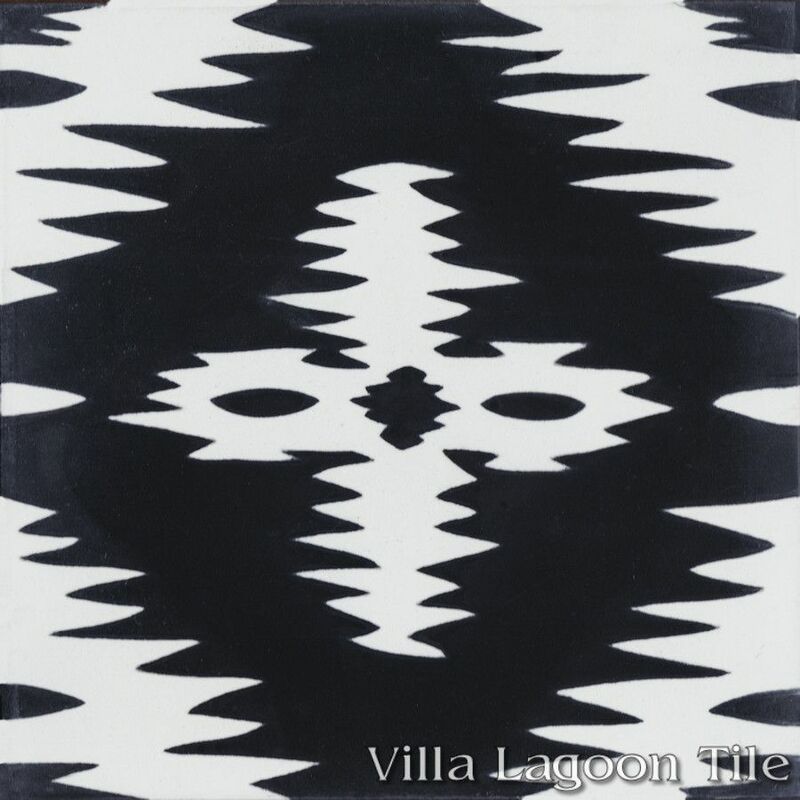 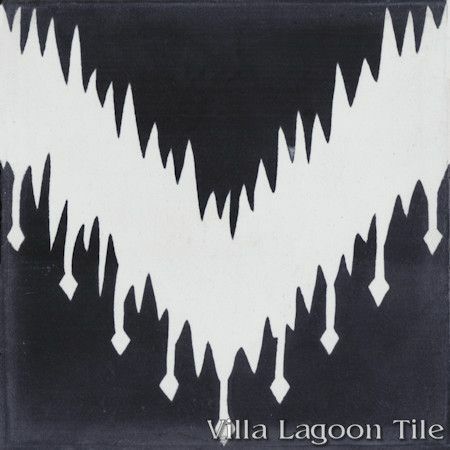 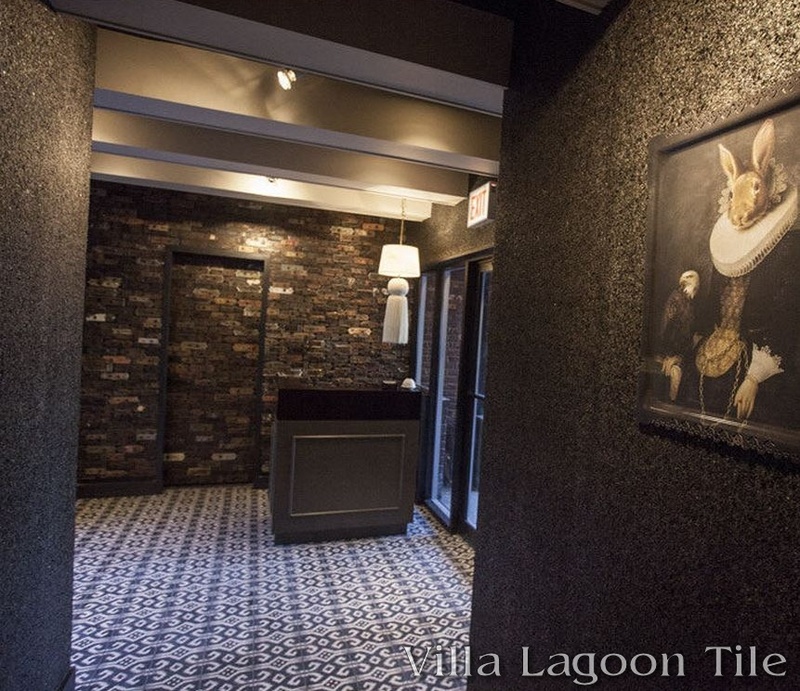 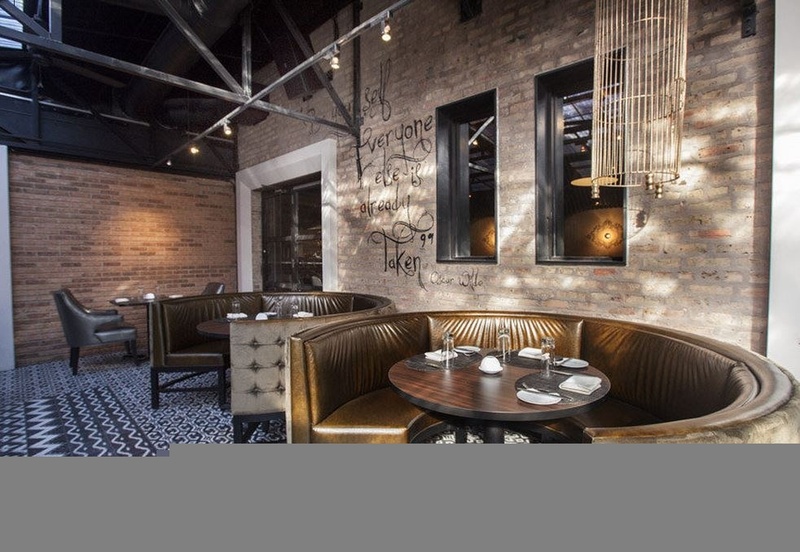 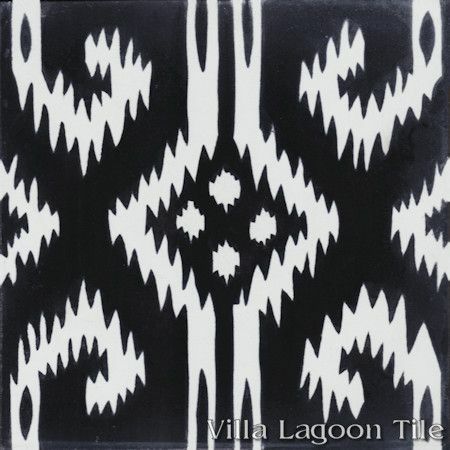 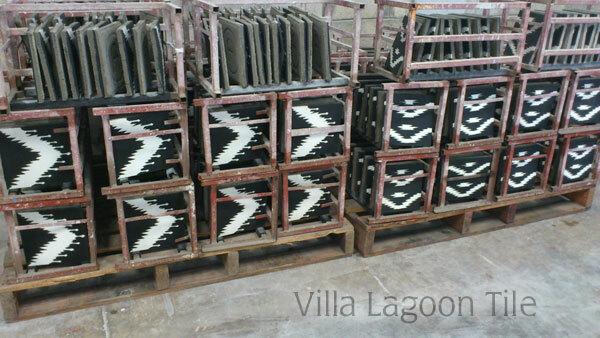 These Villa Lagoon Tile exclusive patterns have been wildly popular since Lundy created them, and can now be found in Michelin-starred restaurants like BOKA in Chicago, and celebrity hangouts like The Bungalow in Santa Monica. 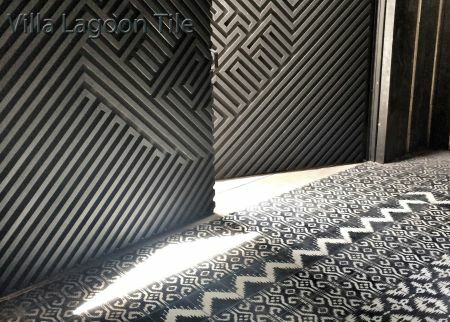 For e-mail quote requests, please provide your patterns and quantities, a call-back number, and a delivery address with zip code, and let us know if this location is residential, or commercial (loading dock or forklift present). Click for larger image... 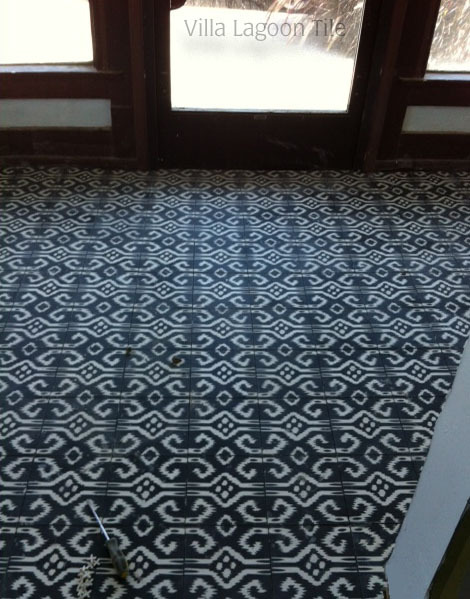 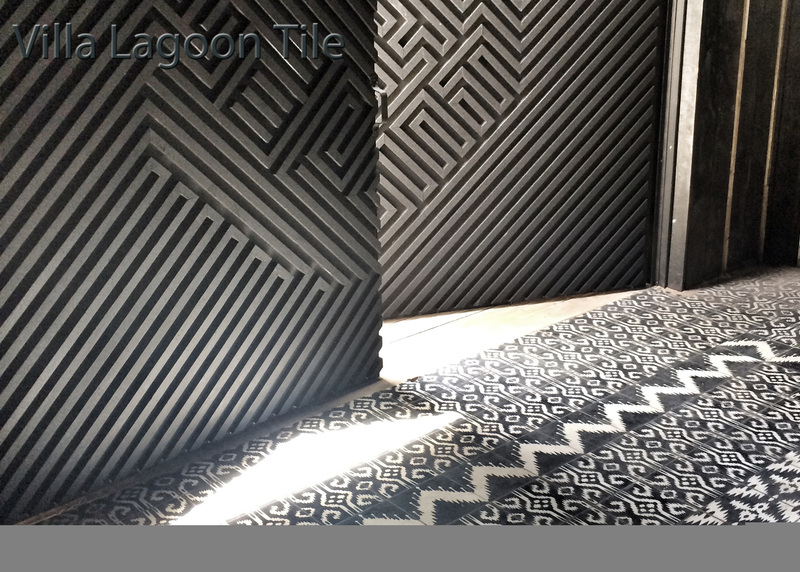 This client beautifully mixed all four Ikat patterns with out Circulos A Black and White One in-stock cement tile. 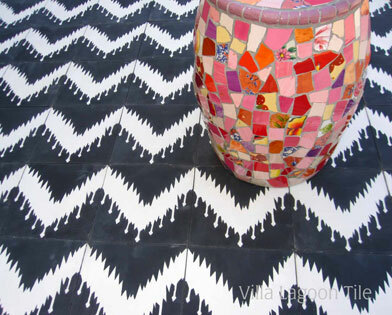 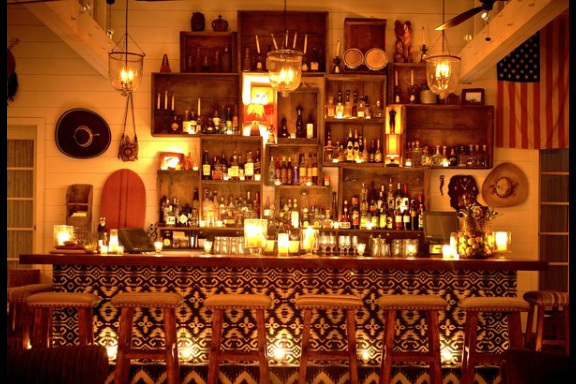 This installation can be found at the Eagle Rock Juice Co., in the Eagle Rock community of Los Angeles, CA.